Dainty and delicious! 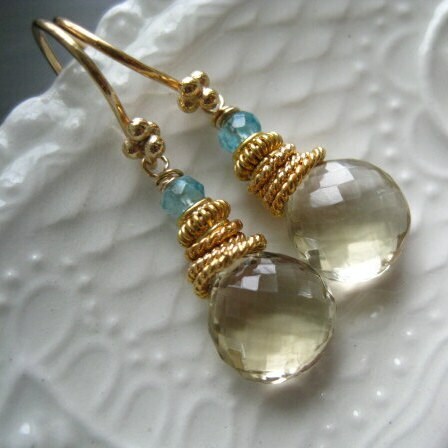 The "Buttercream" earrings feature AAA gemstones, pale buttery yellow scapolite briolettes topped with blue topaz rondelles. 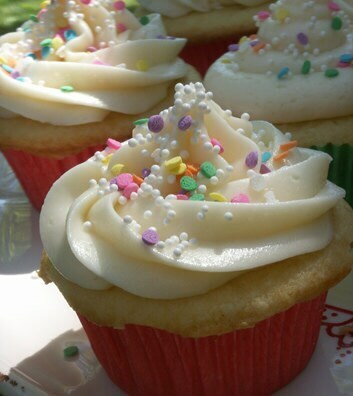 Just like sweet cupcakes sprinkled with bright colored confections. 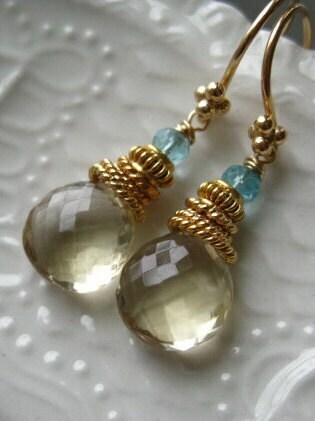 All metals used are 24kt gold vermeil. Perfect for every day wear, these tiny earrings measure approximately 1 1/4" and would be a lovely addition to your own jewelry box, or a perfect gift for someone special.